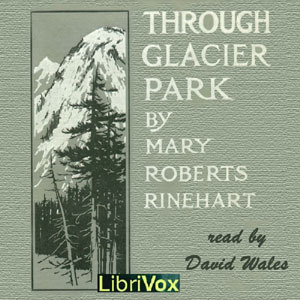 Listen to "Through Glacier Park; Seeing America First With Howard Eaton (Version 2)" on your iOS and Android device. This is the first of two travelogues published by Mary Roberts Rinehart (1876-1958). Both deal with Glacier National Park. (The other is entitled Tenting To-night, which also deals with the Cascade Mountains.). Rinehart wrote hundreds of short stories, poems, travelogues and articles, though she is most famous for her mystery stories. The region that became Glacier National Park was first inhabited by Native Americans and upon the arrival of European explorers, was dominated by the Blackfeet in the east and the Flathead in the western regions. Summary by wikipedia and david wales.